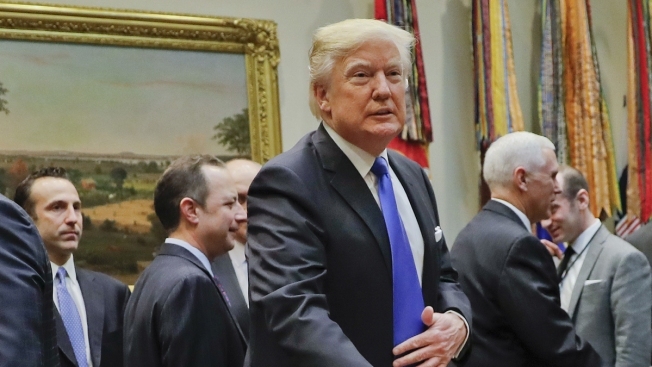 After President Donald Trump moved Wednesday to build a border wall and cut sanctuary city funds, another looming executive order is raising fears in the Muslim community. A draft of the possible order hints the United States may be ready to temporarily close its borders to tens of thousands of refugees and others. Many worry the orders are fueling new aggression against Muslims in the United States. "People are feeling at ease to use Islamic comments and discourse," said Dr. Hatem Bazian, who teaches Islamophobia studies at UC Berkeley and runs a global think tank. Bazian last week found a letter in his mailbox telling him he is not welcome in America. The hate started during the election. A draft executive order obtained by the Associated Press shows Trump intends to stop accepting Syrian refugees and plans to suspend visas for people from Iran, Iraq, Libya, Somalia, Sudan, Syria or Yemen for at least 30 days -- all countries that are mostly Muslim. "It seems like it is against a religion," said Iman Mehter with the Islamic Society of West Contra Costa County in Richmond. Last December, an apparent Trump supporter was arrested for planning a violent attack in the area. Mehter hopes the potential immigration changes will bring awareness. "People are coming together and uniting," he said. "And we see things happening all across the country where people are showing their support." Bazian said there could be drastic consequences if people do not unite. "We frame our country of immigrants, but now we are building a wall on one side and now metaphorically we are building in every airport a wall to say immigrants are not welcome," Bazian said.